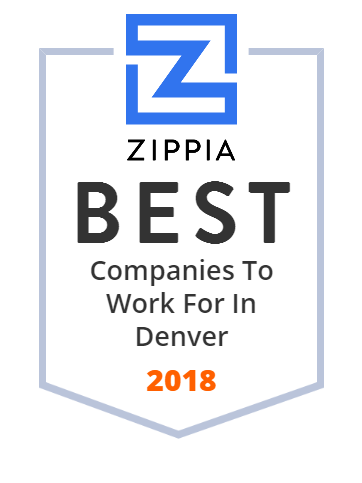 We hand-curated a list of the best companies to work for headquartered in and around Denver, CO using data on salaries, company financial health, and employee diversity. Davita provides quality kidney care. When you or a loved one has kidney failure, it's important to know every treatment option. One of them is a kidney transplant. From finding a match to taking care of a new kidney, get to know more about kidney transplants at Davita. WhiteWave Foods is driving the high-growth, on-trend food categories consumers across the world love and delivering the transparency, choice and responsible practices people want. They are headquartered in Denver, Colorado as a global company. At FirstBank, they are fortunate to have the financial stability, outstanding employees, and the greatest customers they could ask for. They were founded in 1963. Ever since, they have maintained a strong commitment to convenience, friendly and intelligent customer service, and loyalty to their employees. The University of Colorado Denver is a public research university in the US state of Colorado. Intrepid operates three solar evaporation mines in Wendover and Moab, Utah and Carlsbad, New Mexico. Solar evaporation ponds provide one of the safest, lowest cost, environmentally friendly production methods for potash and salt. Their southwestern locations have the advantages of proximity to western markets and an arid climate, ensuring minimal weather-related delivery days by truck or rail. Furniture Row Companies is a group of specialty home furnishings, mattress stores, carrying a variety of brand names, all available at one convenient location. They focus on providing a shopping experience that is tailored to your needs. This is just one of the many reasons they are among America's fastest-growing furniture retailers. OPTIV serves as a client advocate, holistically addressing information security needs ranging from the program level all the way down to the project level. They help businesses, governments and educational institutions plan, build and run successful information security programs, solve focused security problems, and execute specific IT security projects. DCP Midstream Partners, LP is a Fortune 500 company for midstream petroleum services (i.e. transportation and refinery), headquartered in Denver, Colorado. As a publicly traded partnership, the company does not have directors, officers, or employees of its own, but relies on its general partner for managing its operations. As of 2015 it had a total economic value of more than $6 billion and 628 employees providing support, making it one of the largest midstream petroleum services company in the United States. Founded in 2014, Spruce Inc. operates as a style consultancy with an in-house barbershop and clothier for men in the Colorado area. The company offers a wide range of barber and style consulting services. It also provides bags, accessories, pants and jeans, shirts, gift cards, gift sets, stationery, headwear, shoes, and grooming products.